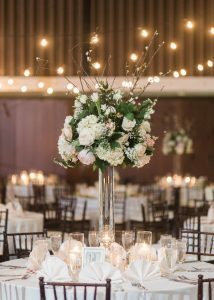 Debby and Katy with Branching Out Floral and Event Design keyed in on every item on Talia’s wish list. 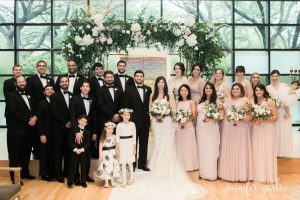 The beautiful stained-glass window of the Temple helped create a beautiful backdrop for the ceremony. 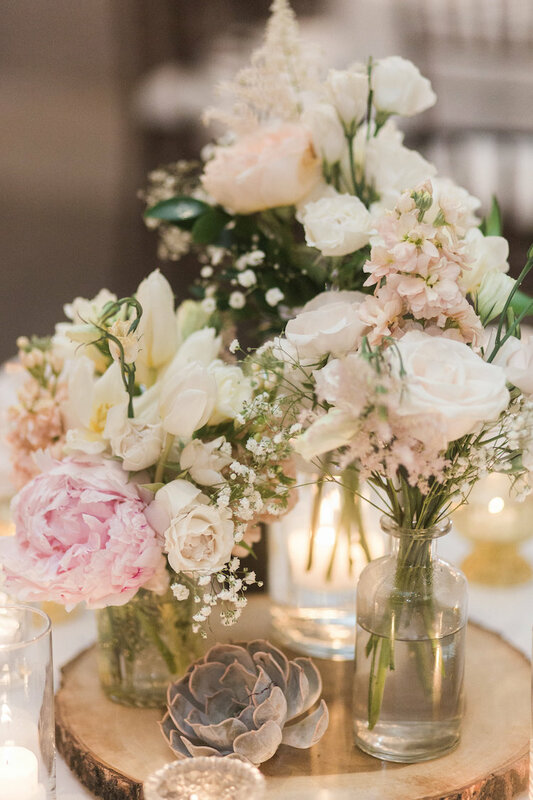 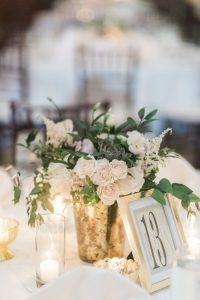 The reception which was cast in rustic chic with white, pale blush and cream tones of lush textured floral using Hydrangea, Ranunculus, Freesia, Roses, Peony, Stock, Lisianthus, Astilbe, Tulips, Anemone, Bridal Spirea, Baby Breath, Italian Ruskus, Wild Smilax, Jasmine Vine, Camelia, and Succulents. 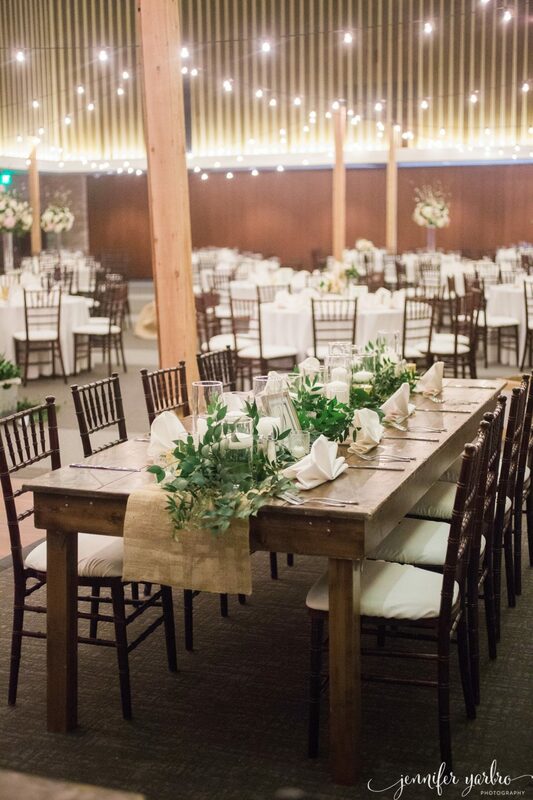 It was then all brought together with rented Farm Tables and fruitwood Chiavari chairs from Marquee Event Rentals, linen and table runners, candles and tall floral vases from Branching Out Floral and Event Design. 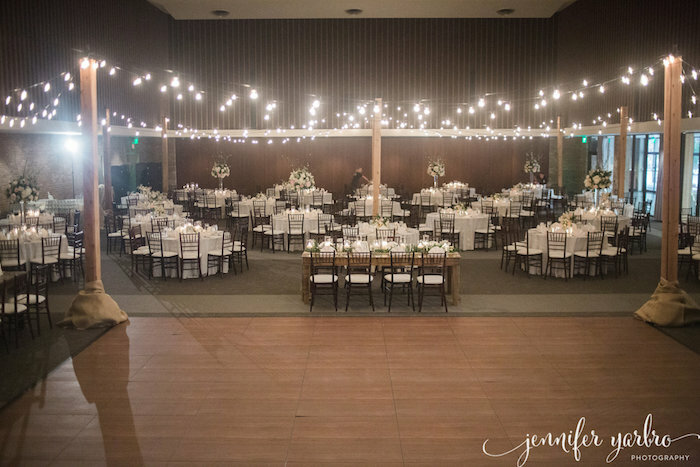 Absolute Lighting added to the romance with up lights and twinkle lighting. 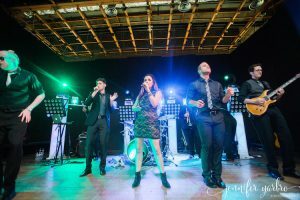 The In10City Band made it a party with lots of dancing and fun. 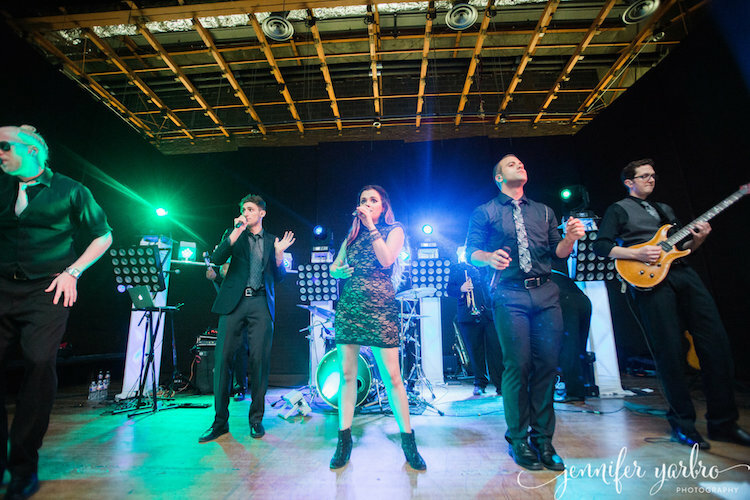 Delicious food stations at the reception and during the After Party was provided by Simcha Kosher Catering. 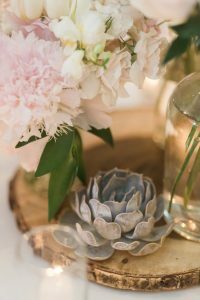 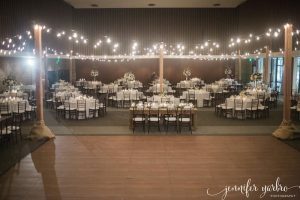 The end result, captured beautifully by Jennifer Yarbro Photography reflected the perfect complement of vendors for this fairytale wedding and reception. 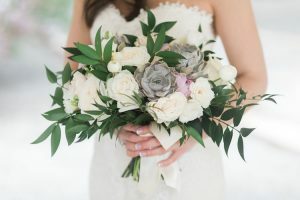 It is our reward for connecting our preferred vendors with our clients.